Why it matters: At Qualcomm's summit in Hawaii yesterday, the tech giant announced the chip that will power next year’s Android flagships: the Snapdragon 855. Being the first to launch a handset featuring the SoC is quite a coup for any company. According to OnePlus, it was set to take the honor, but it seems this incorrect claim was the result of a translation error. OnePlus has admitted the mistake, which it says was due to the slide not being written by a native English speaker. Strangely, OnePlus staff, including Lau, had said its device would be the first to include the 855. It was only when Engadget informed OnePlus of the important difference between the slides that it acknowledged the issue. 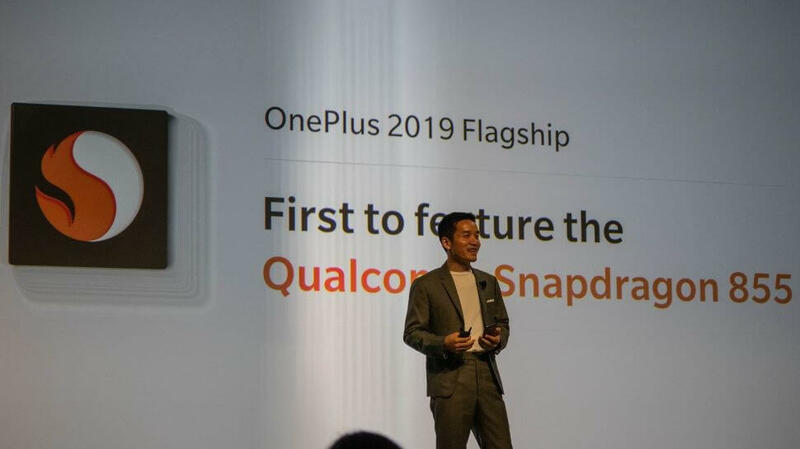 "We appreciate the opportunity to clarify that we will be one of the first to have access to, and use, the Qualcomm Snapdragon 855, and apologize for the miscommunication," a spokesperson said in a statement. Part of the confusion reportedly revolves around the word “feature.” It seems some at OnePlus thought “first to feature” meant it would be first to get access to the 855, which may be true, but everyone else thought it meant the phone would be first to launch with the chip. It appears that companies care more than consumers when it comes to being first in the tech race. We still don’t know in which handset the 855 will debut, but it’s hard to bet against it being Samsung’s Galaxy S10, given how the S series is usually the first to ship with Qualcomm’s newest SoCs.